15mm.co.uk: November 2016 at 15mm.co.uk begins teasingly! 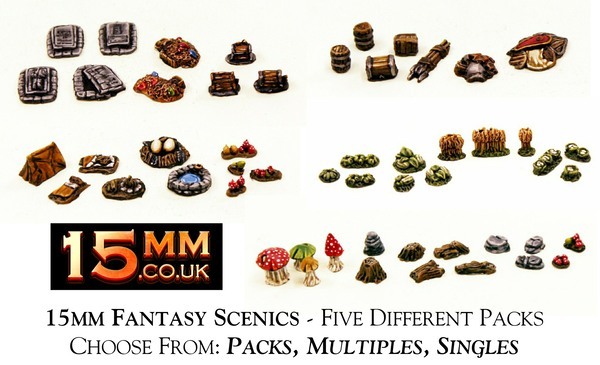 November 2016 at 15mm.co.uk begins teasingly! Us teasing! Never! Well just a bit. Everything we are doing this month is building up to our awesome Black Friday Weekend Offer. This offer will run for four days and will be detailed a week before it starts. This will be after we have made all of our releases for the month. We hope you will check us out when the end of the month comes! 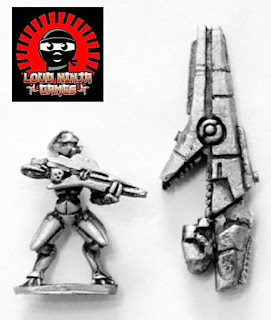 For more here is some more information on what is coming and a totally awesome a mighty set of releases by Loud Ninja Games which will make fans of 15mm sci-fi and the Yandrassi over the moons with joy! Look at that! Those are some big guns. But big guns for what? Tavshar and Horgosi of the Yandrassi created by Loud Ninja Games stand next to severely up scaled versions of their own personal weapons. We will tell you more across this month in two more instalments. 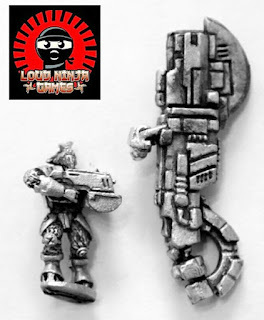 For the moment....Eli Arndt of Loud Ninja Games would like to whisper the word 'Archon' and 'Mecha' in your virtual ears along with the name of the designer Sean Bullough. Trust us this is gonna be spectacular! Psycho Presents new to the 15mm Festive Range!